Matinée comes back featuring Art, Music and Concept. MATINÉE IBIZA 2016: "ART · MUSIC CONCEPT"
Every Saturday on Amnesia’s terrace. intense nights on the island. "ART · MUSIC CONCEPT": The 2016 season will bring important developments. "Art" is the essence of Matinée: a unique universe that unites arts, sensuality and technology. "Music" refers to its unmistakable sound, which this year will be represented not only by the Matinée DJs Taito Tikaro, André Vicenzzo or Flavio Zarza, but also by prestigious guests like Phil Romano, Pagano or Tom Stephan. This summer marks a turning point: for the first time, the party will join forces with promoters like We Party, Forever Tel Aviv and The Week Brazil. 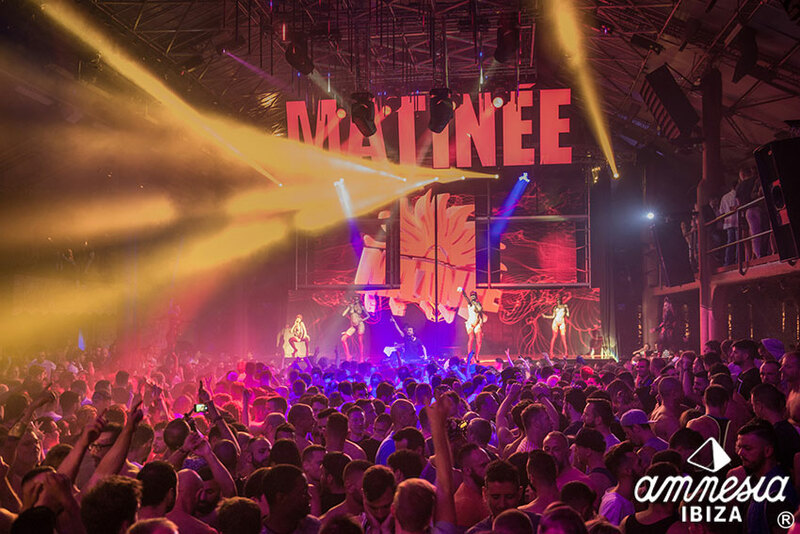 The goal: to turn Amnesia into the global epicenter of the Ibizan clubbing spirit every Saturday.